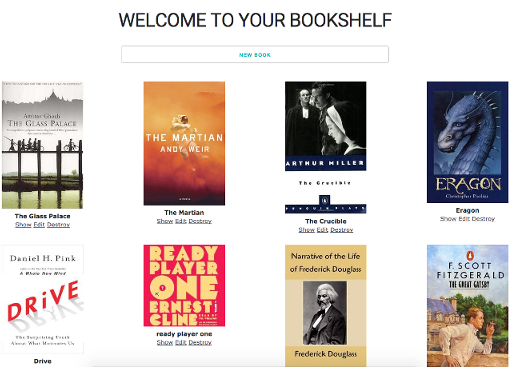 Showcase the books you have read with this handy bookshelf! Just type in the title and author and we'll take care of the rest. We'll search for the ISBN number (using the title and author) and use that to find a pretty picture of the cover of the book. 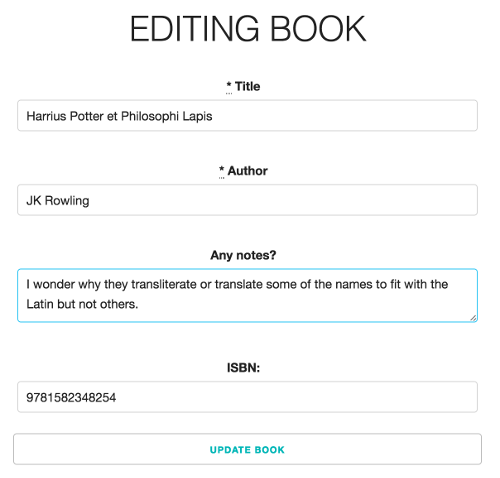 Bookshelf lets you save notes about any book. Whether you're reacting to a plot twist, making yourself a reminder, or taking notes on a character, your thoughts will be there when you return. Sign up now to share your profile page and let others see your bookshelf. What interesting books are your friends and family reading? by Rushi Shah | Star it on Github!